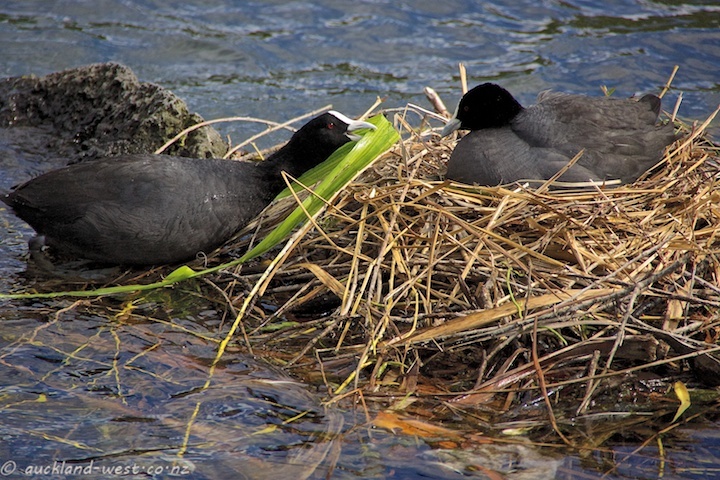 A coot brings nesting material to the nest site, where it is awaited by its mate. Western Springs. I hope she likes this artistic bit of greenery! 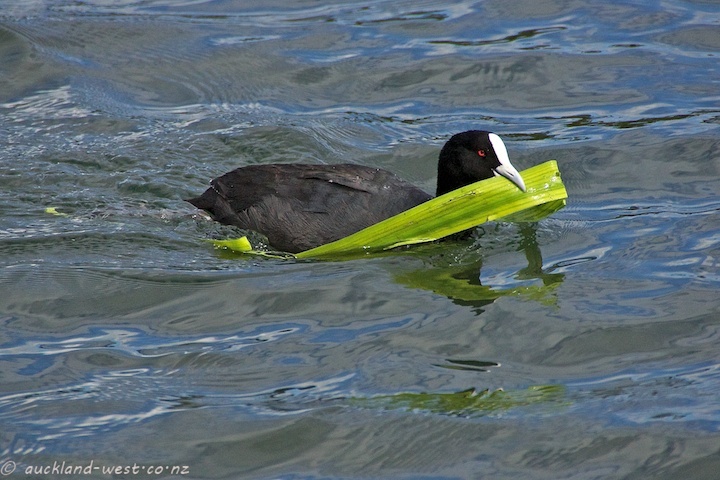 They are cool birds. I always find them a bit tricky to photograph but you got a couple of good snaps here.